Andy signed from Blairhall Juniors. Initially playing regularly in the reserves, by 1950-51 he had established himself in the first team forming United’s ‘Famous Five’ front line of Quinn, Grant, McKay, Dunsmore and Cruickshank and was then a regular in the side for three years. In his final season, 1953-54, he featured less often and was released in May 1954, signing for Arbroath. Andy was born on this date in . United sent their supporters home happy last night with a resounding win over Dumbarton in the League Cup. As it was, United were four up after half an hour. 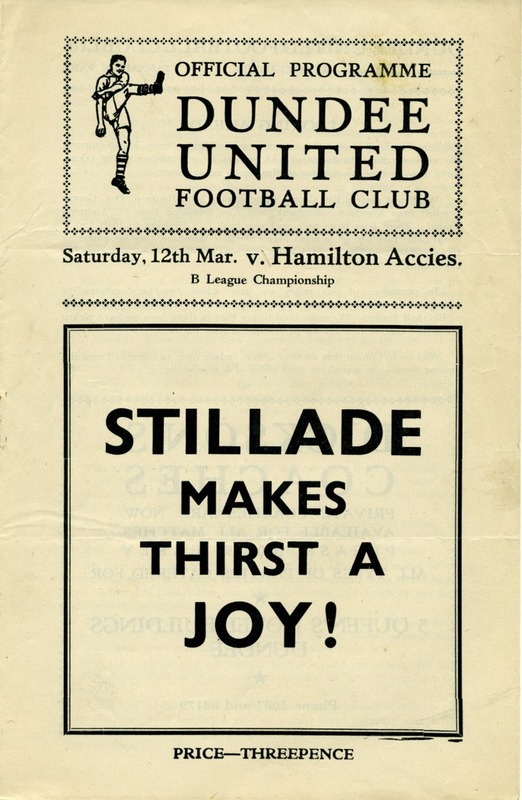 Peter McKay opened the scoring following good play from George Cruickshank and the latter scored United's second on 20 minutes. Four minutes later, Peter McKay netted his brace before Andy Dunsmore made it 4-0 with just half an hour gone.